A value investing screen in the Graham school based on Schloss's focus on stocks that are hitting new lows and those trading at a price lower than their book value per share. Walter J. Schloss studied under Ben Graham in 1935 and then worked with him. In 1955, he left Graham's company and started up his own investment firm. 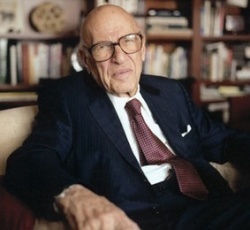 Schloss's son, Edwin, joined the firm in 1973 and the two of them closed out the fund in 2000 and Walter stopped actively managing others people's money in 2003. He was a very humble investor working from the same one-room office over the whole period. He didn't t talk to management teams as he felt he wasn't good at evaluating management character. He didn't use a computer or the internet but liked to look intensively at the numbers (using ValueLine and annual reports). “We want to buy cheap stocks based on a small premium over book value, usually a depressed market price, a record that goes back at least 20 years…and one that doesn't have much debt." A stock at or near its 52-week low price – Being at or near a low could signal a possible bargain stock, although it is important to distinguish between temporary and permanent problems. As Greenwald notes, Walter and Edwin Schoss "scrutinize[d] the new lows list to find stocks that have come down in price. If they find stocks is at a two or three year low, so much the better". No long-term debt - Schloss avoided companies with much debt as this increased the risk profile of the investment.